 Stay on developed trails and don't stray from observation points.  Watch your footing. Rocks can be slippery. 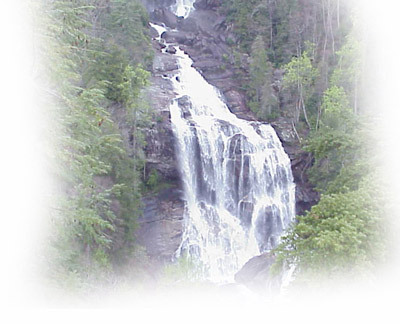  The top of the waterfall is the most dangerous area - do not lean out over the ledge.  Watch children and pets carefully.  Use slow film and shutter speed.  Photograph in the early morning or right before sunset to avoid shadows.  Use a tripod when using slow shutter speeds.